MIni Blinds Installed in the Bathroom. Kitchen and bathroom are two areas in a house with high humidity level. Kitchen is the place for cooking and food preparations and it is typically equipped with stove, refrigerator, kitchen cabinets, sink and other appliances used for cooking. Bathroom contains bathtubs or shower, it also contains toilet and sink. It is a room for hygiene. These two areas use water as a main tool for washing, cleaning and cooking and encounter high moisture everyday. It is important that the materials around your kitchen and bathroom are waterproof to prevent and lessen damages. For kitchen and bathroom window cover, aluminum window blinds is the best option. 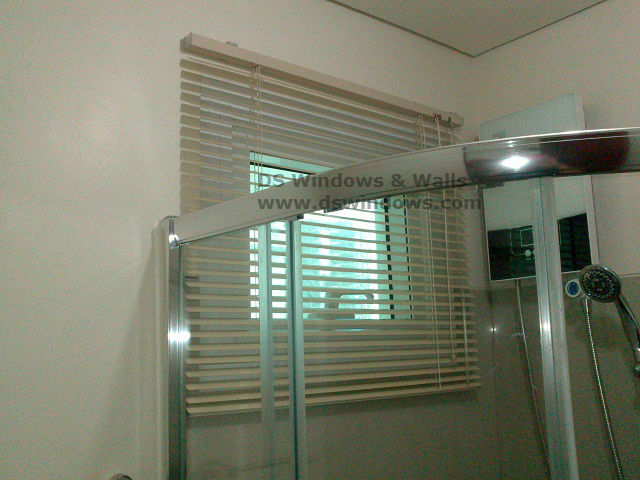 Our client from Shaw Boulevard, Mandaluyong City opted for aluminum mini blinds because it is the most appropriate type of blinds for their kitchen and bathroom. The main reason why most people preferred this type of blinds because it is in a very low cost and low maintenance is needed. It is also easy to control the amount of heat and light entered inside your room. Aluminum mini blinds are durable because its color and finish last longer. It also has an endless variety of colors which will allows you to create the perfect look for your kitchen and bathroom. Our client chose a Honey Comb color of aluminum mini blinds to match it with the color of their wall. 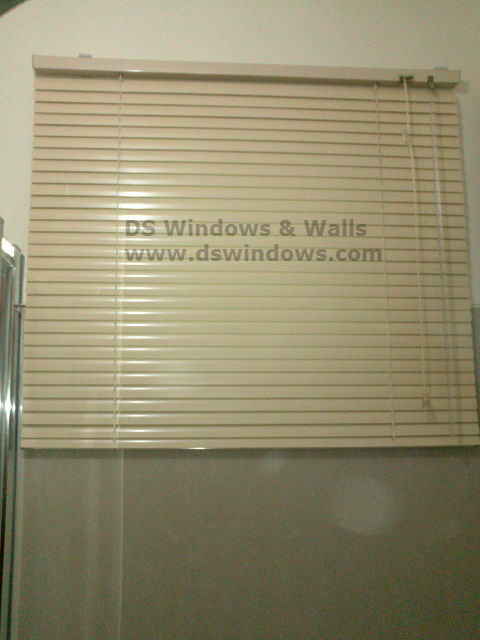 DS Windows & Walls offers different kinds of blinds, folding doors, wallpapers and carpets. DS Windows & Walls also offers FREE measurement within Metro Manila and free installation if you purchased window blinds or folding doors worth 5000 and up within Metro Manila. 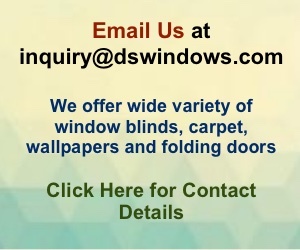 For inquiries, you may email us at inquiry@dswindows.com or call us at (02) 893-1373 / (02) 403-3262 / 0916-311-3909. You can also visit our shop at 4th level Waltermart, Makati City, 3rd level at Robinson Metro East, Pasig City and 2nd level Pacific Mall, Lucena City.